Procrastinating is an art. 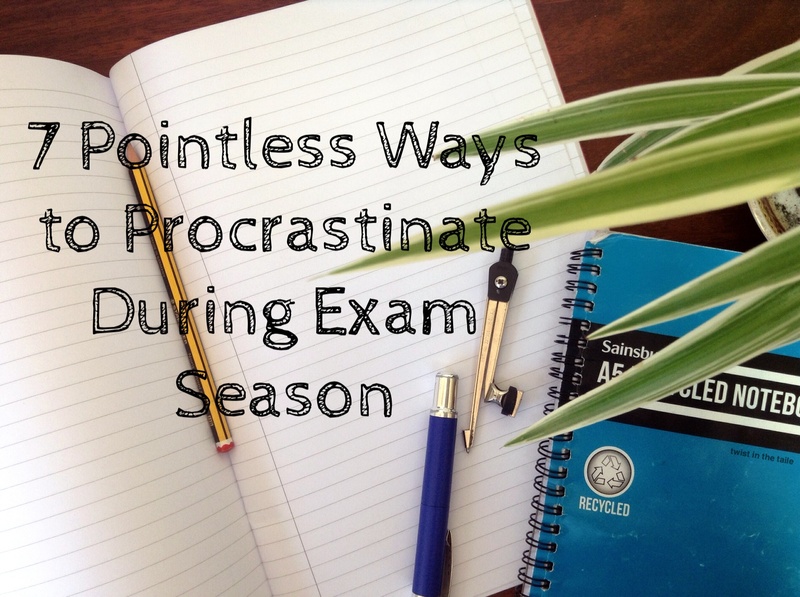 Though social media is excellent, to be a true procrastinator you must also be able to perform your art in a variety of different ways – and if you have yet to embrace these during the joyful exam period, then here! Have a list that will effectively finish all productive revision! Don’t tell me there wasn’t a fight for the one library computer in after school club. Seriously. That one with the green pipe and the bouncy ball one was my childhood (I’m very upset that I can no longer find it). If your memory is mysteriously blank then I’d suggest starting with Fireboy and Watergirl, Circle the Cat or Bloons Tower Defence. The sound of popping virtual balloons is strangely therapeutic. ‘How many books are in the library?’ ‘How many DVDs do I own?’ ‘How many teachers are teaching in my school at any one time?’ etc. Again, the nostalgia from endless Guinness Book of World Records. What, you don’t have the newest edition? Never fear. The internet is your friend. My search history favourites include ‘longest piece of literature in the world’ (a Super Smash Bros fanfiction that clocks in at over 4 million words) ‘most married person’ (Linda Wolfe, with 23 marriages) and ‘farthest squirting of milk from the eye’ (279.5cm by Ilker Yilmaz). My suggestions are Dot on the Horizon, Click to Remove, How Many Goats Are You Worth? and Please Wait. You can say you’re watching ironically and because of my excellent pun, but we all know the truth. Pointless is the only game show worth any one’s time. ‘Saturday morning’, ‘Saturday breakfast’, ‘shower’, ‘getting ready’, ‘homework’, ‘making lunch’, ‘Saturday lunch’, ‘Oh look it’s started raining’, ‘Good job I don’t have to go out now’, ‘Let’s stay inside and watch Doctor Who instead’ ‘Wait, I have to publish this blog post first’ etc. This is probably the most productive items on this list. Quotes from your favourite books are especially fun – if you don’t want to buy a whole book and compare editions then you can get lots of sample chapters from Amazon. 1. Read some irrelevant books such as fictions and other nonsensical books. 2. Play the Rubik’s cube while breaking my personal records. 3. Surf on great time-wasting sites like tv tropes and Geocities (when it still exists). 4. Watch a lot of movies. 5. Solve mathematical problems that are not related to my dissertation. 7. Watch a lot of sports as if I have a lot of free time. 8. Learn to use Adobe Photoshop. 9. Answer questions or troll others in Yahoo Answers. FIREBOY AND WATERGIRL OMG I LOOOOOVED THAT GAME!!! Now I’m just going to play it for ages XD This is an awesome list!!! This is the best thing. Ever. How many goats are you worth?!?! I have to say, I am quite good at procrastinating, but I don’t think that’s a good thing! Also, I am apparently worth 9 goats. How many are you worth? This is probably the only instance my procrastination has come in useful, haha. High five on the goats! 😛 I’m apparently worth 9 goats as well. Aaah this one too! There are so many weird websites, haha. Help, exam season is about to go full throttle on me and I am SO GUILTY. I won’t try any of these. I swear. I mean, why would I do that? … Yeah, we all believe me.